Two of Britain’s finest scrambles are undeniably the knife-edged Crib Goch in Snowdonia and Striding Edge in the Lake District, which leads up to Helvellyn. Even in the sunshine you’re exposed to the wind, so tread carefully and confidently, using walking boots with a sufficiently stiff sole and a jacket capable of keeping the cold at bay. 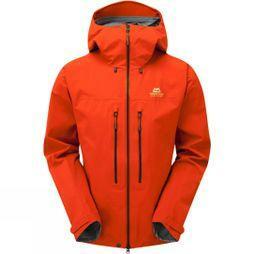 The Mountain Equipment Tupilak is a durable, weatherproof shell for climbing in all weather. Robust Gore-Tex Pro makes it waterproof, windproof and extremely breathable, to keep you cool while you’re active and warm while you’re resting. 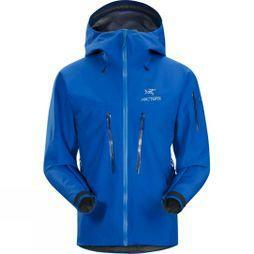 Articulated sleeves and technical Super Alpine hood ensure a comfortable fit. Norway and North America are incredible spots for high-level ice climbing this time of year. Just ask Tim Emmett who, in February 2016, scaled the 260ft Interstellar Spice in Canada’s Helmcken Falls, the very first WI 12-graded ice climb in the world (believe us, it’s a superhuman accomplishment). Closer to home, you can get a taste for ice climbing at Ice Factor in Kinlochleven in the Scottish Highlands. The Arc'teryx Men's Alpha SV is perfect for climbing in extreme environments. Its Gore-Tex Pro construction has a three-layer membrane, tested to provide complete protection from the outside elements while allowing sweat and vapour to escape. A helmet compatible StormHood and removable HemLock inserts make it fully climbing gear compatible. The Lake District is a great choice for multi-day adventures. There are 214 fells to choose from, and they’re so close together that it’s possible to tick off several in a single day. If you’re looking for a classic Lakeland challenge, attempt the Bob Graham Round: a 24-hour, 42-fell feat which includes 66 miles of distance and 27,000ft of elevation. Or you could attempt to break Steve Birkinshaw’s record, in which he trailblazed all 214 Lake District fells in an impossible seven days, one hour and 25 minutes. Suitable for outdoor pursuits all year round, the Rab Firewall jacket offers excellent waterproofing, breathability and stretch thanks to 3L Pertex® Shield®+ fabric. Pit zips and a wired peak allow you to customise your fit for maximum comfort and visibility while hiking. From Dartmoor and the South Downs to the North York Moors and Yorkshire Dales, Britain has an incredible selection of National Parks which offer lower-level walks which still have phenomenal views. The concrete pillboxes which line the bridleways of Box Hill on the North Downs are a beautiful sight in Surrey. En route, don’t forget to visit Denbies Wine Estate and enjoy a walk through their vineyards. 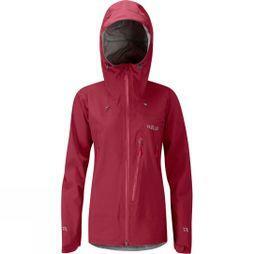 The Patagonia Cloud Ridge jacket is ideal for running or walking in wet conditions. Cuff closures, a storm flap and watertight pockets ensure the water stays out, while its 3-layer polyester outer has a DWR (durable water repellent) finish to keep you totally dry on the trails.